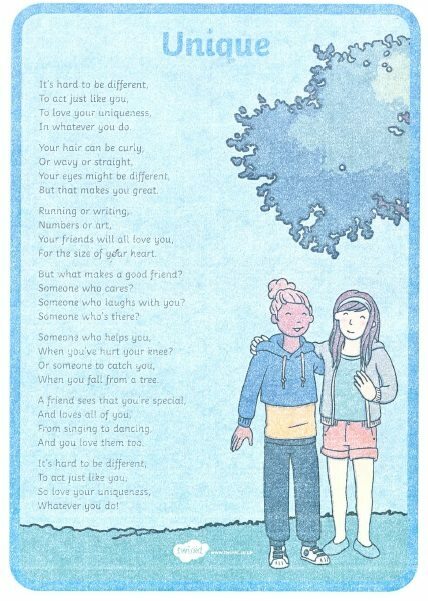 This week has been National Anti-Bullying Week. This year’s theme promotes difference and equality in schools with the tag-line ‘All Different, All Equal’. We have been working throughout the week with the children to raise awareness and take a stand against bullying. 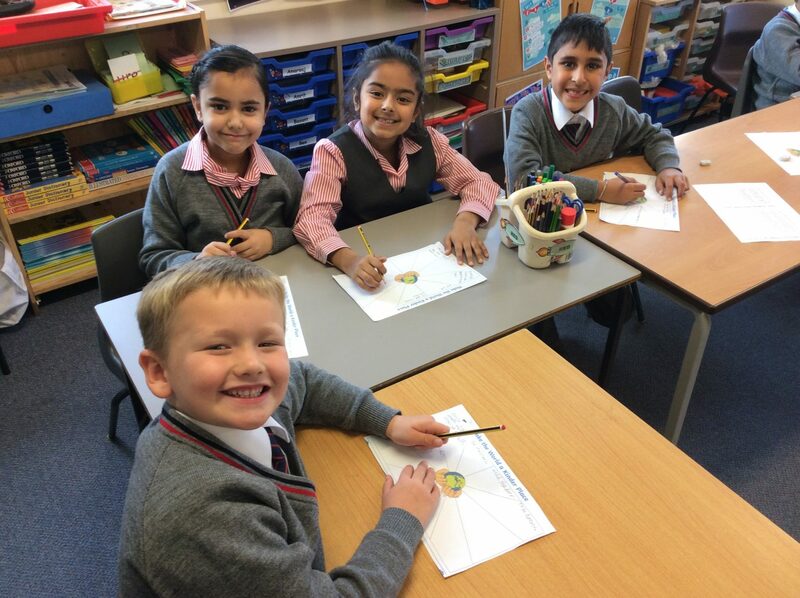 We have taken the theme further to promote ‘Friendship’ through a range of classroom activities. The Business Club has also been selling ‘Friendship’ bracelets at break times, with the money raised to be donated to Children in Need. Year 1 has been fully involved in this week’s anti-bullying week. Their week began by discussing what it means to be a good friend, they made friendship bracelets for each other by threading beads onto elastic and described their friends using adjectives. The children enjoyed a practical lesson about feelings and how words and actions can hurt others. Miss Staniford passed two apples around the circle, one they were asked to speak nicely to and say kind words, the other they had to be mean to by saying unkind words. 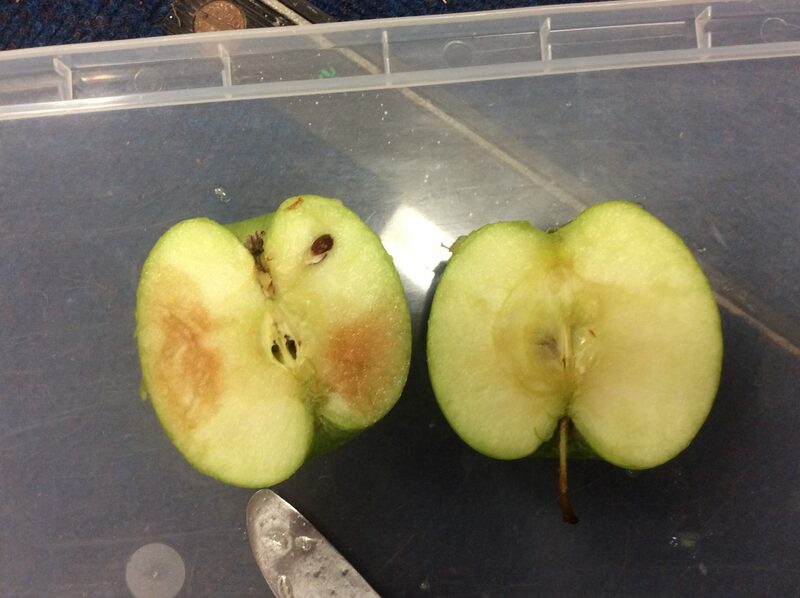 They looked closely at them from the outside, they both looked the same but on closer inspection when the apples were cut in half there was a difference. To the children’s amazement one was bruised inside which led to an important discussion about how words can hurt our feelings inside even though from the outside they can’t always be seen. 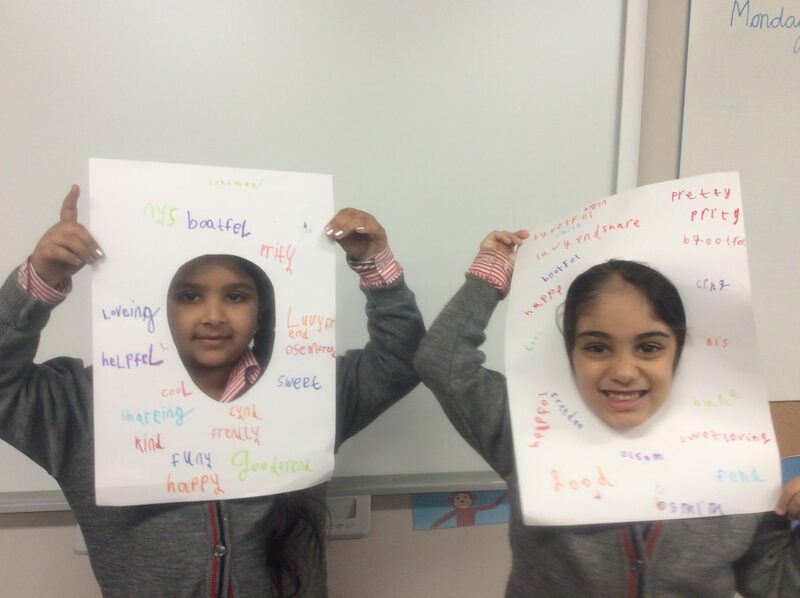 This lesson demonstrated visually to the children how words can hurt others and was a very effective way to convey the message of anti-bullying week! Wow! What a fabulous week Year 2 have had celebrating AntiBullying Week. They started the week off by looking at what the word ‘bullying’ means and how we as a team working together can make the world a kinder place. For homework throughout the week the children kept a running blog of all the kind acts they had carried out each day, helping to promote and spread kindness. Year 2 then looked in depth at the qualities that make a fabulous friend. After lots of discussion the children created magical recipes for fabulous friendship potions! The children made sure they included time words and ‘bossy’ verbs to instruct others how to make this marvellous creation. They made them using plastic bottles and writing the ingredients on strips of paper adding colourful glitter, love hearts and pom poms! 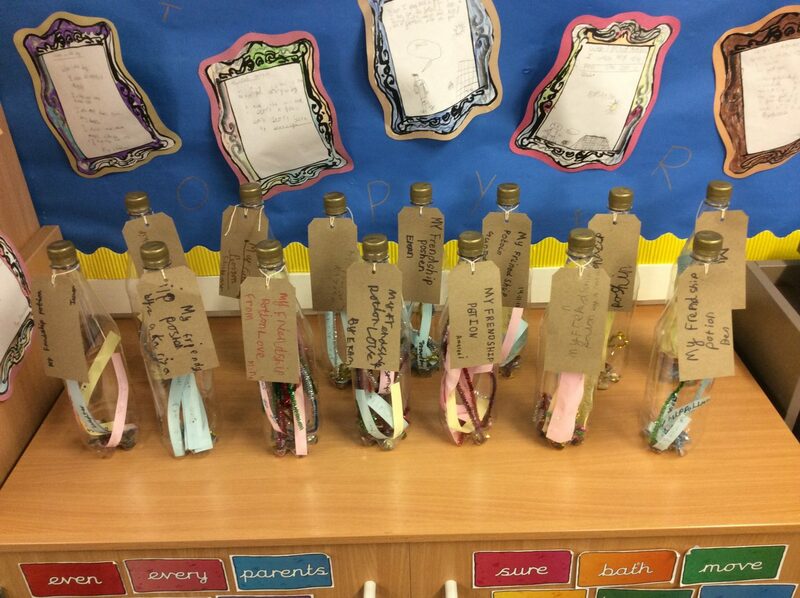 Once the children had agreed on the perfect receipe for the perfect friend they made friendship bracelets for their peers writing a descriptive sentence on the back about why their friend is so special. After lots of reflection time, Year 2 decided that the most important thing to do when something is bothering us or making us sad is to communicate with friends, family and loved ones. 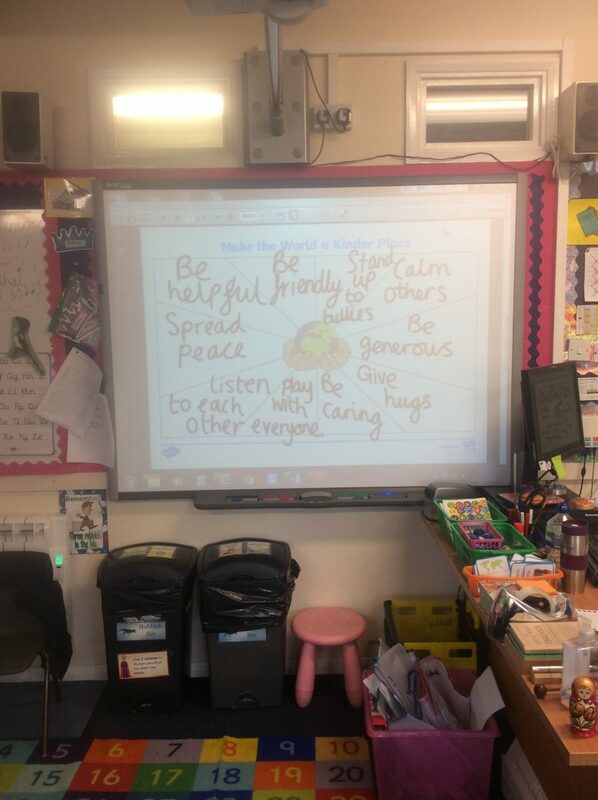 What wonderful stories the children listened too throughout the week which delivered key messages on how to spread peace and kindness, be confident in themselves and to feel proud of who they are as individuals. What a busy few weeks Year 3 have had! The teachers could not be more proud of how well the children have adapted to Year 3 after the huge transition it is from Year 2. We know it is a big change and all children have been fantastic and so hard working! The children loved going on our trip to the Roald Dahl children’s gallery where they explored many of the magical tales that Roald Dahl created. They were able to explore for themselves the Children’s Gallery where they could visit magic mirrors making them look big or small, optical illusion wheels, shadows and even magically being transported to another world! 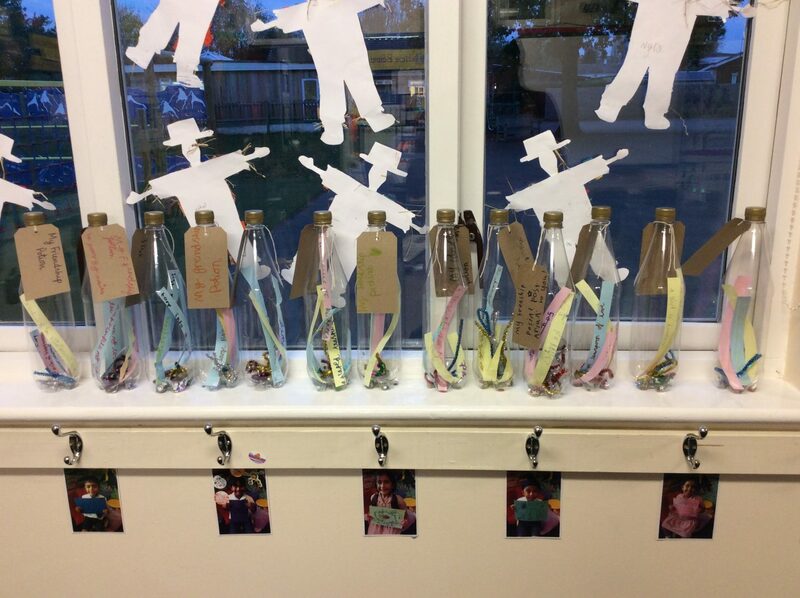 It was a fun-filled day which was ended by children designing and making their own Dream Bottles after being inspired by Roald Dahl and his wonderful creations. Also, a huge well done to all children for their brilliant performance in our class assembly about The Stone Age. It was amazing to see their enthusiasm and passion in performing about their History topic. They had a big job remembering all their lines including song lyrics and a poem, but the children did a tremendous job and should all be very proud of their hard work! Miss Jassal and Miss Ramadhan are very proud of all of you! Wow! What an amazing few weeks Year 4 have had. Everyone thoroughly enjoyed meeting and working with Ali Sparkes, a former Blue Peter book prize winner. She inspired everyone to get writing and to develop a love of language. Her writing workshop gave us all lots of ideas about how to develop our story writing. 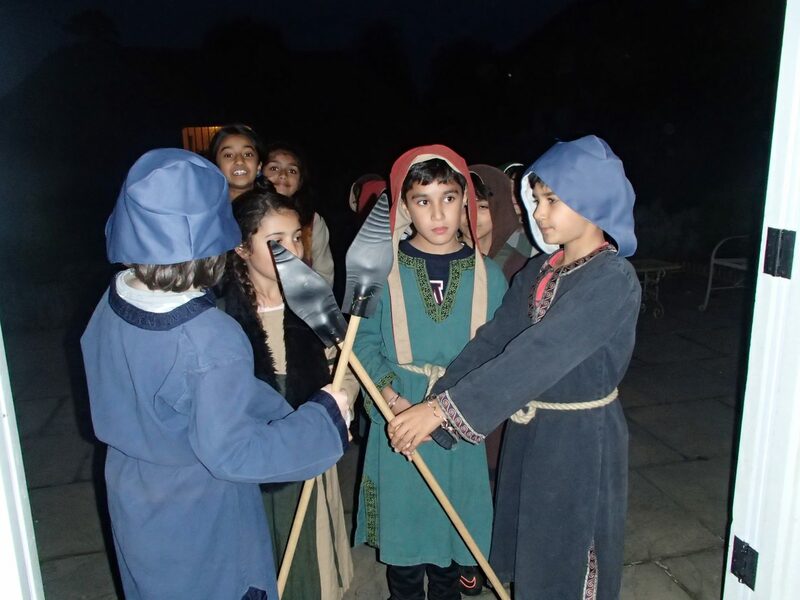 The children were so excited to go on our residential trip to Ufton Court, recently. The weather was dry and the children were impeccably behaved. 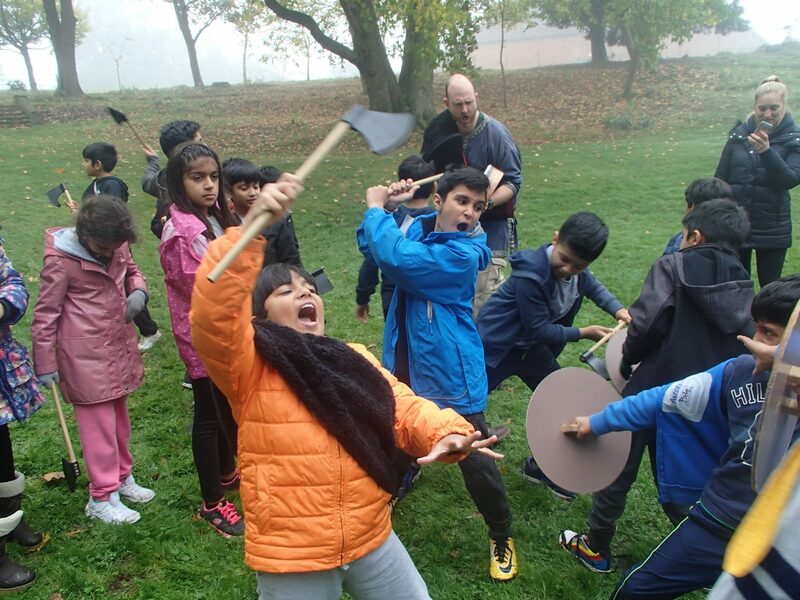 Ufton Court is a fascinating place where anyone who visits is immediately immersed in the past and in our case, the Anglo Saxons. 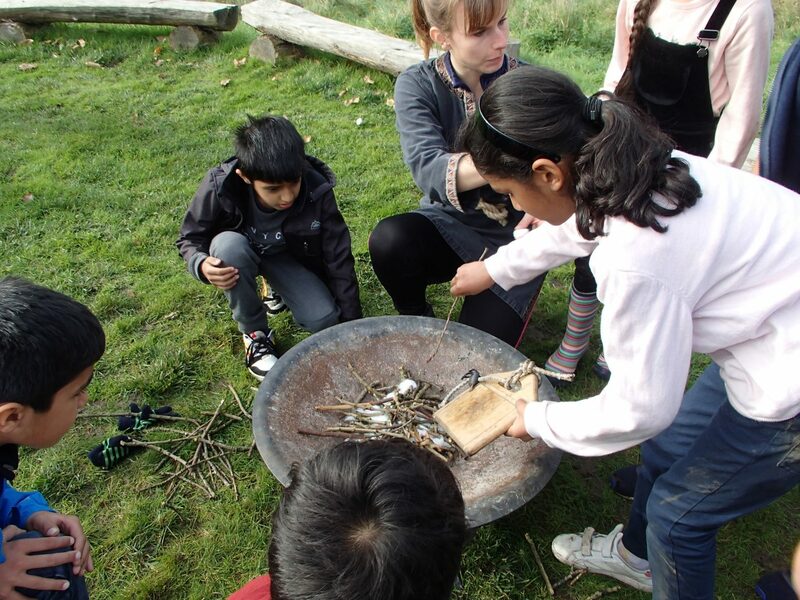 Some of our favourite activities were fire lighting, a night walk, a banquet and torc making. 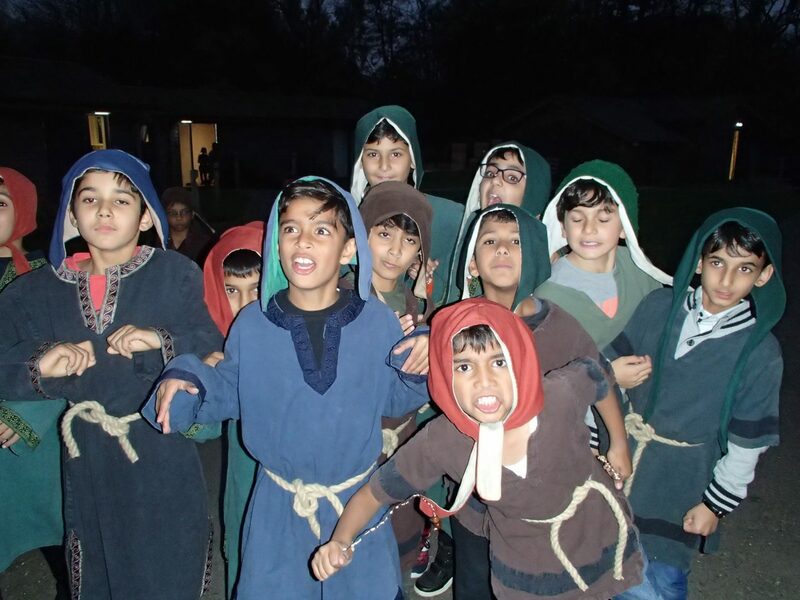 This trip not only developed our historical knowledge, but also allowed the children to develop their independence, problem solving skills and team work. This week, Year 4 took part in their class assembly. 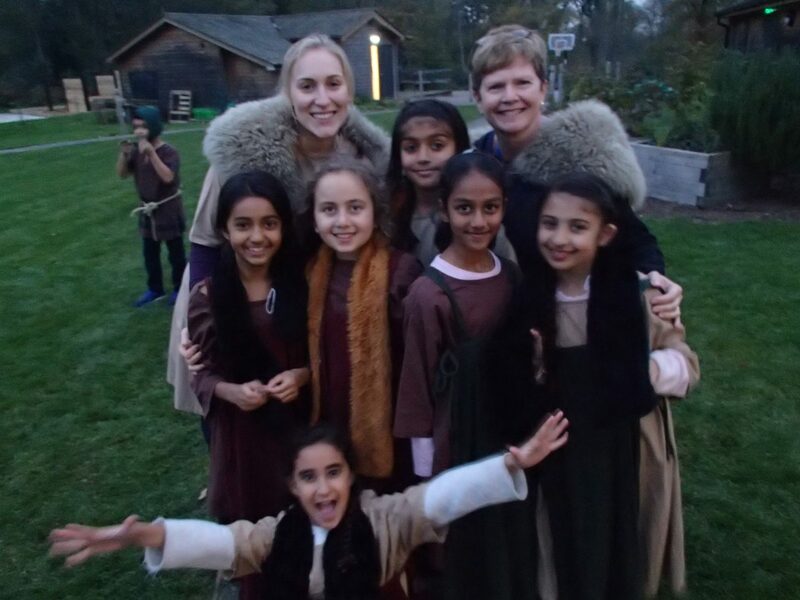 Even though, we had only a week to prepare for it, the children learnt their words, songs and actions and produced a fascinating insight into Anglo Saxon life. We hope everyone enjoyed the performance as much as the children did. 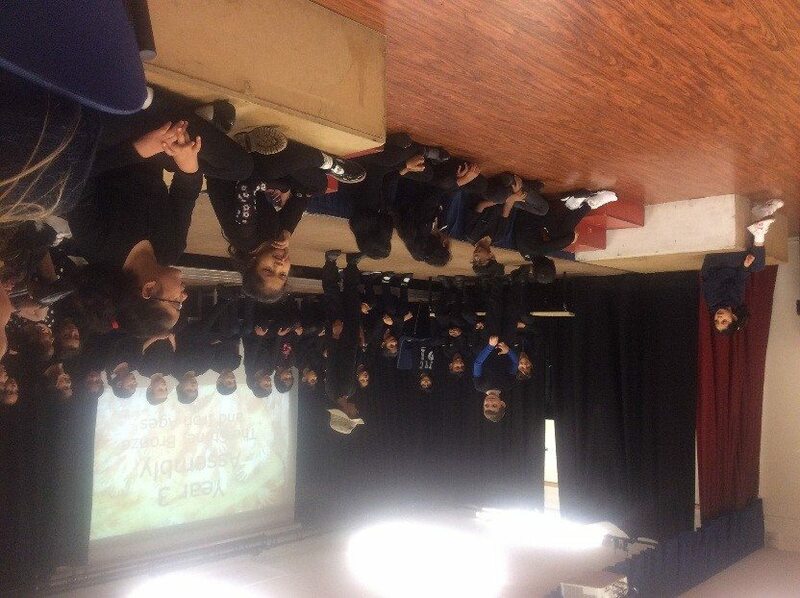 Yr 5 have had an extremely busy week, taking part in many anti-bullying activities and discussions. We started the week by discussing the qualities of what made a great friend. The children had some fantastic ideas. We also studied data on bullying and completed a comprehension on the facts around Anti-bullying week. On Wednesday, we looked at 9 different scenarios based on bullying. Finally we wrote letters to imaginary friends, who may have been victims of bullying, giving them valuable advice. The children have thoroughly enjoyed the week and learned a great deal about how to deal with bullying if it ever happens to them or their friends in the future. Pour 7 large teaspoons of respect carefully. After that, you stir everything together including 1 ounce of goodness. Cautiously, sprinkle a pinch of fearlessness, no more than a pinch. Now you have a perfect friend. Year 6 have put a lot of effort into ‘Anti bullying week’ focussing on how to make friends and cherish friendships. 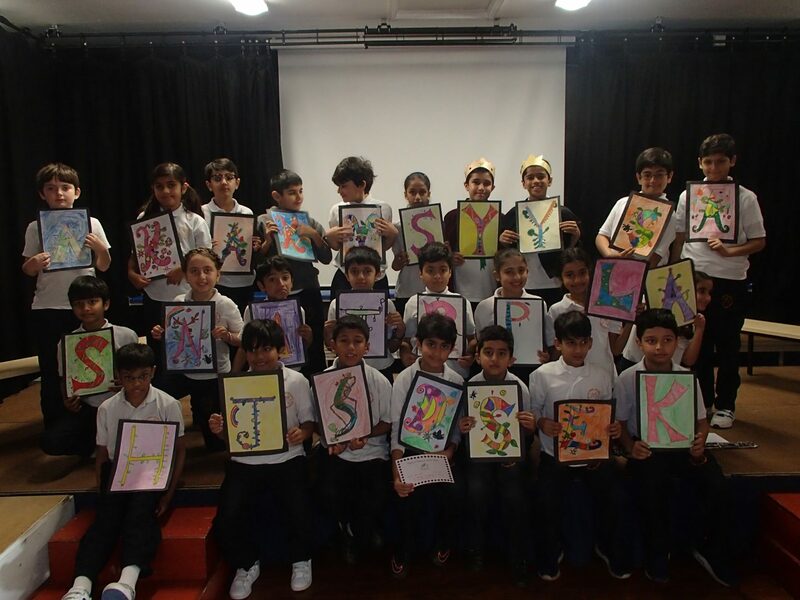 They have made posters about Cyber-bullying and created potions for friendship along with writing diary entries (sharing the emotions of a new child joining a new school anxious about it on the night before and worried, but relieved and reassured the following day). In assembly some of the year group will act out drama sketches based on scenarios children find themselves in and the peer group pressure that upsets them. Members of Business Club have been very busy promoting events and selling items to support the cause. 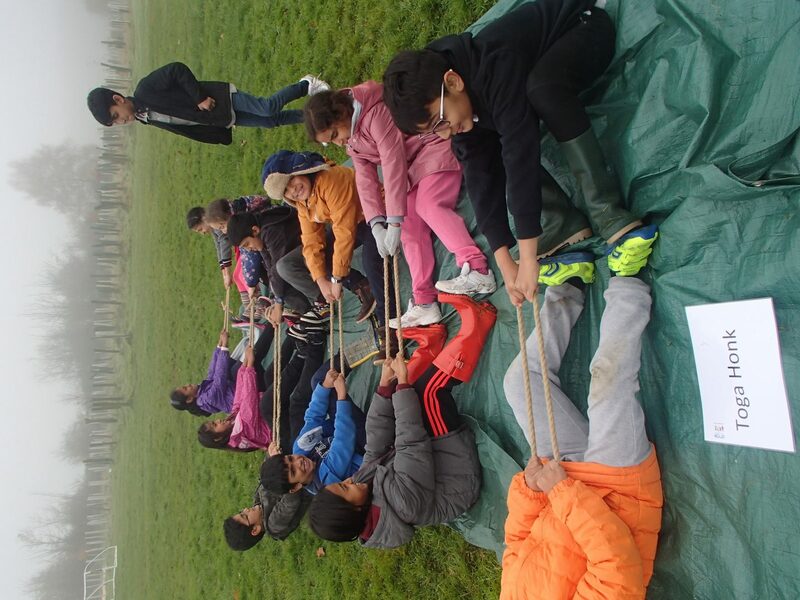 In addition to this they were heavily involved with the Children in Need activities during Friday. Year 6 have focused on identifying the types of bullying: physical, verbal, social and cyber-bullying and what you can do if you are experiencing these. They have explored these themes through role play and with a key message: If you feel you are being bullied or that someone else is – ‘Tell’. Tell a trusted adult: your parents, teachers or someone else who will act sensibly, so that they can help to stop it. Year 6 have also been exploring the theme of ‘All different, All Equal’ in more depth and identified two key words: ‘discrimination’ and ‘diversity’. Their discussion of this was extremely mature and they learned that discrimination can be found in many ways and in many places. They were also keen to celebrate our diversity in many ways. They decided that this enhances who we are as school and makes us more interesting. We even discovered that Year 6 is a truly cosmopolitan group with ancestry across most of the continents! They have shown themselves to be a helpful and considerate group; volunteering to help run the recent Book Fayre and taking visitors on endless tours of the school. Well done year 6 we are proud of you! 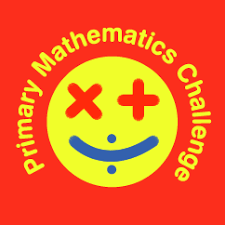 On Monday 13th November Year 5 and 6 sat the Primary School Maths Challenge (PMC). Many had spent the weekend practicing. The PMC encourages enthusiasm, boosts confidence in mathematics and shows the different way questions can be asked. The idea is to not help children in their problem solving and develop in their reasoning skills. The pupils enjoyed the test and the results are in and will be delivered to the pupils in their assembly on Monday. We were very impressed at how the children tried every question, how they did not panic under exam conditions and how they tried their hardest. Anyone scoring over 18 out of 25 are submitted to the PMC and maybe invited to the bonus round in February. I’m pleased to announce that we entered 5 pupils…again all will be revealed to the pupils on Monday! The senior school will have there chance to compete in a National Maths Challenge in the Spring Term. On Tuesday 7th November, the under 9 Hockey team played against Dair House. When the game started Keirat Bandal did a lovely pass to Faya Mujib and she ran with the ball and scored a goal, it was 1-0. Then it was Dair House’s ball. When it was half-time it was 7-0. In the second half Elina Wason, the captain, ran with the ball and scored a goal; it was 8-0. At the end of the match it was 11-0. On Wednesday 8 November, the U11 Hockey team played against Dair House. Meera Thaper made a strong pass to Ophelia Edgson who then passed it onto Nikita Saini, coupled with Alisha Chaudry. Long Close were trying their hardest to keep the ball near the oppositions goal, but unfortunately Dair House scored 2 goals. Half time passed and Jaya Nanda and Jasmine Bath were great defenders as they tried their hardest to keep the ball out of the ‘D’. Alisha Chaudry and Nikita Saini then scored 2 goals! Just as the final whistle blew, Dair House scored one more time to make the score 3-2. 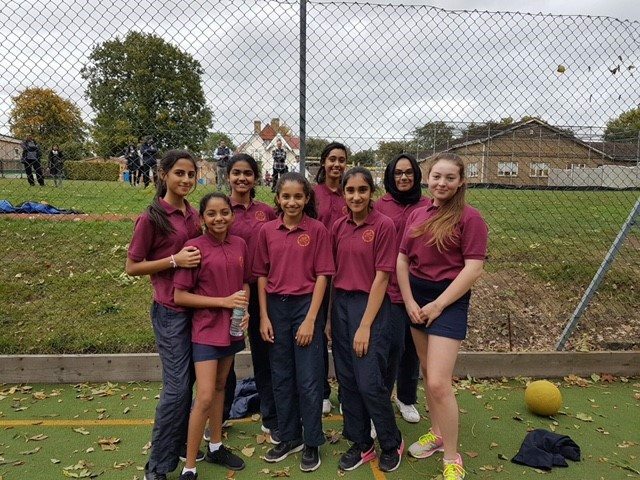 Well done girls – a great effort! On Wednesday 8 November, U10 Hockey team played against Dair House. The team was Malvika, Anisha, Mariyah, Suhani, Saloni and Diya. The game started off with some great tackling from Mariyah and Suhani who passed to Saloni, who then scored a goal. The half time score was 4-0 to LCS. Dair House tried to score but Alina and Anisha defended well. The end score was 8-0. Well done! Keep it up girls! Man of the match was Mariyah Ahmed. Thank you to the parents and guardians who spared some time to join us on Thursday afternoon for an update on the Christmas Fun Day plans and input ideas for future events. We heard some great event ideas for both adults and children and will be looking into these very soon. We are only taking registrations in advance this year so that Santa and his elves can get all the grotto gifts ready in time. 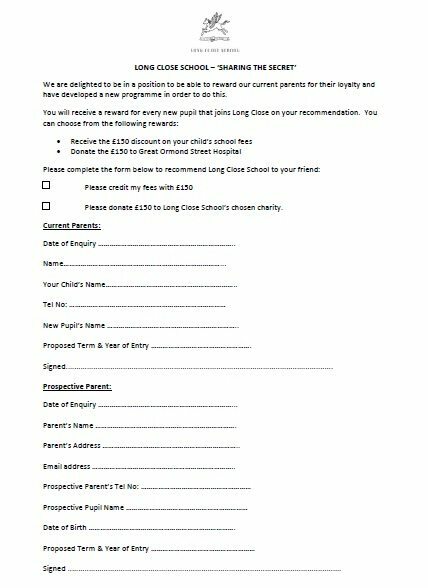 If you need a registration form, or any more information. feel free to contact us through your class reps or directly via email.